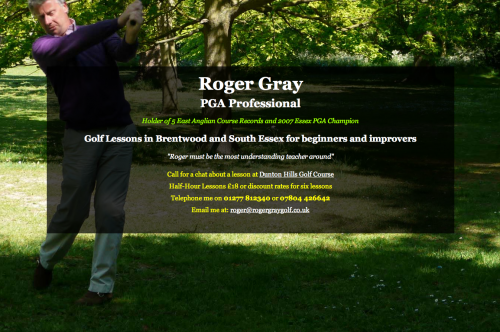 I just made a one-page website for Roger Gray, who offers golf lessons in Brentwood. Just a sort of online business card really. I hope it helps people find him, he’s a great guy and deserves to be every bit as busy as he is.